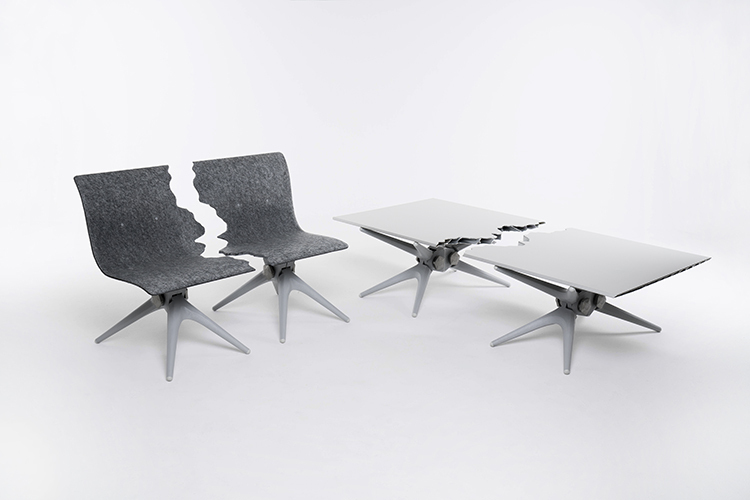 FRACTURED BENCH + TABLE By Pentatonic in collaboration with Snarkitecture | This bench-and-table combo uses only post-consumer waste: drinks cans, computer cases, car bumpers, plastic water bottles, food packaging and coffee-cup lids. 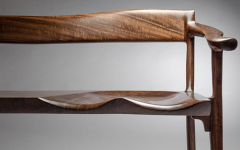 The luxurious felt bench is made entirely from recycled plastic (PET) pressed into a single 1.5 cm-thick sheet, then heat-formed into a curved bench and surgically severed to make the 2-seater, 2 seats. The table is split using computer-navigated precision.